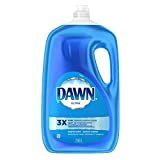 I am grateful for Dawn Dish Soap. 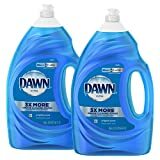 Dawn Dish soup is the only liquid dish soup that I use for cleaning my dishes. One of the reasons to use Dawn Dish Soup is that it works, even on hard to clean dishes. 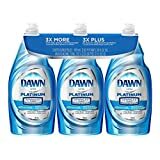 Other liquid dish soap I have tried other brands and have not be satisfied with the quality. I am also grateful that Dawn Dish Soup also support wildlife rescues and is used by many of them to help oil soaked animals. Today I am grateful for Bagels. You can get bagels in a variety of different styles and flavors. One of the best ways to prepare a bagel is to toast the bagel in a toaster and smother them in with peanut butter. Another way to prepare a bagel is to make it into a type of sandwich or put cream cheese on it. I am grateful for Fridge magnets. When it comes to keeping important papers, children’s artwork or even appointment reminders visible is to put them on your refrigerator. You can many different types of refrigerator magnets that have cute sayings or event letters of the alphabet.